U.S. Defense Secretary warns the Trump administration will not tolerate Iran's mischief in the region. 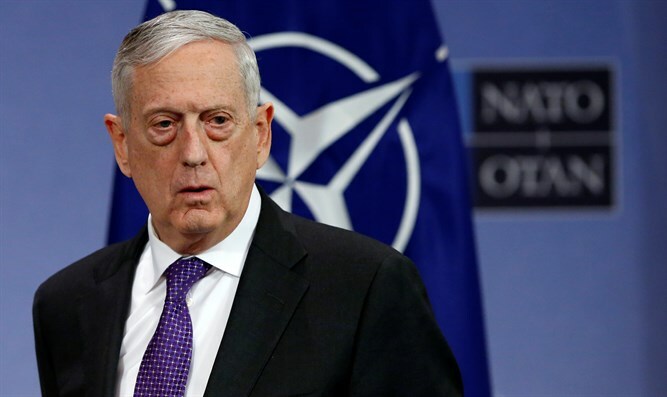 U.S. Defense Secretary James Mattis on Tuesday said Iran has been “put on notice” and warned that its “continued mischief” in the region will not be tolerated by President Donald Trump’s administration. Speaking at a press conference at the Pentagon with the Chairman of the Joint Chiefs of Staff General Joseph Dunford, Mattis called Iran the “single biggest destabilizing element” in the Middle East. “Iran has been put on notice that the continued mischief they’ve caused around the area, murder they have caused,” and the regime’s support of Syrian President Bashar Al Assad, said Mattis, according to The Independent. He warned Iran is “going to be held to account for it” but did not going into detail about what that entailed. While he acknowledged he felt there was “less willingness to be confrontational” on Iran’s part, Mattis added they are still “fundamentally” a destabilizing factor in the region. One of the sticking points for Mattis and the Trump administration is Iran’s involvement in the Syrian conflict. Answering his own question, the Defense Secretary said Iran “has no business” being in the middle of the “civil war”. He added that the Trump administration is working with Russia, who may have the “traction” and “persuasiveness” to ask Iran to leave, but did not address the issue of Assad asking Tehran to be involved in the first place.